Are you struggling with all the waste you have to get rid of at one go? It can be such a daunting task without the proper equipment and help. This is where Blue Heeler Bins can be of help to you! We are the best and most efficient waste removal service in Heathcote and we can guarantee that you will never be disappointed with our services! Blue Heeler Bins has been in the rubbish removal business for over 20 years. We are Australian and locally owned. We have a vast experience and we have earned a great reputation in this industry throughout the years. Our team has been properly trained for this line of work and they will leave no job incomplete. We are always on time and deliver optimal results. Whether it is rubbish removal in your home, industrial site, landscaping area or any other public or private institution in Heathcote, we will complete the job with ease and efficiency. We believe that cleanliness is essential for health and safety. Therefore let us ensure your health and safety. Our services include Cheap Skip Bins Sydney and Rubbish Removal Sydney. We have bins of varying sizes for you to choose from, depending on your requirement and budget. We have bins with gates as well as crane bins among our stock. Our service area in Sydney is very vast. Therefore we can provide you with our services wherever you may be located. We can guarantee that you will be 100% satisfied with our skip bins and our waste removal services in Heathcote. You can also read our blog to get the latest news on the services we have to offer you. 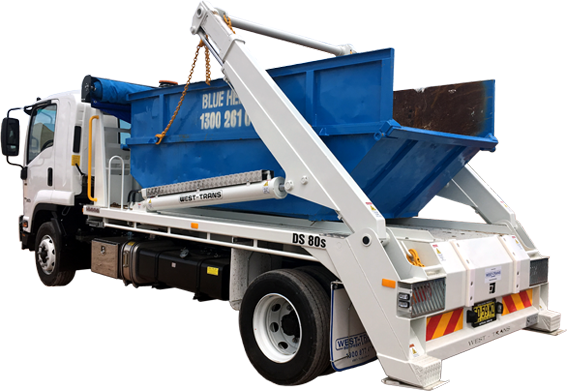 To hire the most effective waste removal service in Heathcote simply contact Blue Heeler Bins on 1300 261 041 or 0418 238 210. You can also send us on online message on our official homepage.